You can make your home and property which you plan to offer for sale sanitised thoroughly and completely by using the one-off cleaning which we offer. Our services are reliable, done in line with the customer’s demands and guarantee excellent results. Our cleaners will take care of the spotless and dust-free state of every room and area in your house. Let them ensure the hygienic condition of your home and your family will live in a healthy and pleasant place. The one-off cleaning which you will receive from our company, based in Putney SW15, is trustworthy and affordable. Get in touch with our phone operators for more information and assistance. 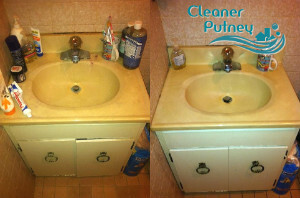 The cleaners in our company will take care of the impeccable state of all rooms in your home. They can provide deep sanitising of your property after and before parties, guests and special events. You can count on them to ensure the presentable and healthy condition of your home. Our staff will vacuum the carpets, wash and rinse the internal window glasses, sanitise the sills and frames, clean the entrance door, light fittings and counters. If you use the one-off cleaning which we offer in Putney the kitchen, bathroom, bedrooms, hallway, living room and entrance area in your estate will be in great condition. Our staff will wipe the dust and remove the stains from the hardwood furniture, clean the grease and burnt food from the kitchen appliances. The cob-webs, dust and soiling will be removed from your property. 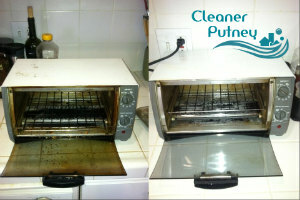 The deep cleaning which we provide within SW15 is cost-effective and professional. Order it through our call centre, online chat or booking form.